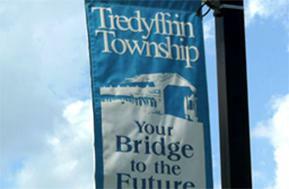 BERWYN, PA - The Berwyn Fire Company strongly encourages all Tredyffrin Township residents that may have been affected by the flash flooding event on Monday, August 13th to visit the Township website at http://www.tredyffrin.org/Home/Components/News/News/6816/38 to learn how to report it. The data collected by the Township will be forwarded to the Chester County Department of Emergency Services for consideration for possible financial assistance. Again, this is not a guarantee of assistance but the data provided from the community will help gauge if the County will qualify for disaster relief aid.